WebWars comes out of stealth and announces Weblings, a "layered reality game” on the web. "Weblings introduces a strange and beautiful world hidden within the internet, where players can collect, trade and show off their fantastic creatures while surfing their favorite websites." It looks like Weblings is another free to play layered virtual world on the web like RocketOn and weblin. I bet this is not the last newcomer. The web is a huge virtual world and it is largely untapped. There is so much content and once people start be be present on web pages, there will be big opportunities. Especially browser game companies, which already feel the competition of many other brower games will soon start to see the virtual world on the web as the next frontier. Closed beta has started. But there are no details available, yet. This seems to be the same company (at least the same domain address) as the company, which announced WebWars: EVE. 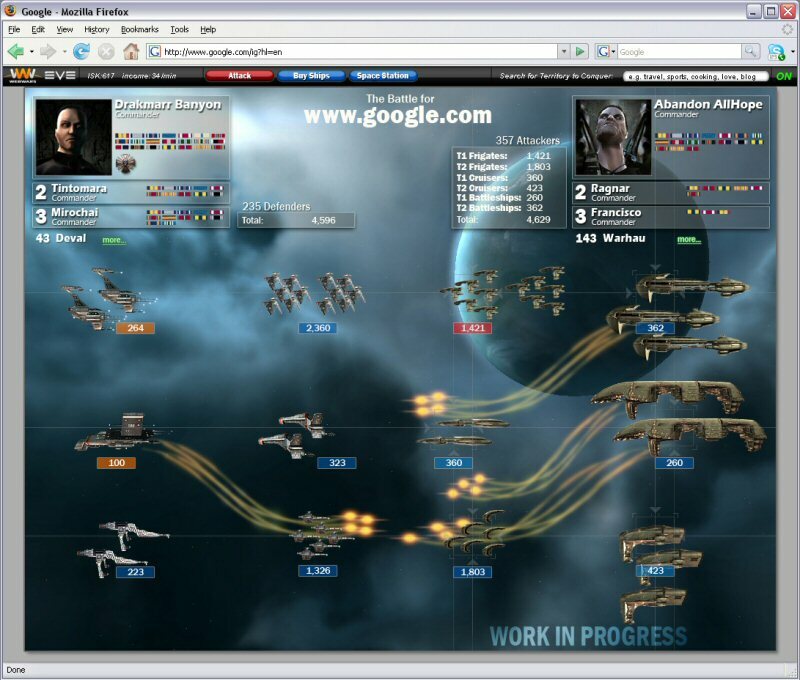 WebWars: EVE was supposed to use the EVE-Online IP to create an impressive SciFi game play on the web. They seem to have dropped or pushed back the SciFi theme in favour of a fantasy look and feel.